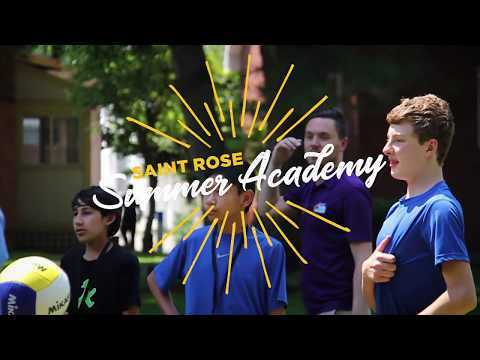 Created for students entering grades 6 – 10, The College of Saint Rose Summer Academy provides unique and fun learning experiences that are flexible and convenient. Check out our program overview for a quick guide to our 2019 schedule and pricing. Ready to sign up? Follow the Registration link below to fill out your application online, by mail, or in person. Mindfulness & Yoga – NEW! Monsters of NY – NEW! 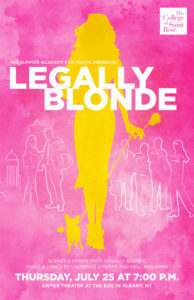 The Broadway Bootcamp will culminate in fully staged scenes and songs from the hit musical Legally Blonde, performed at the Swyer Theater at The Egg in Downtown Albany, on Thursday, July 25 at 7pm. The Musical Theater Workshop is open to students entering 6th to 12th grade. 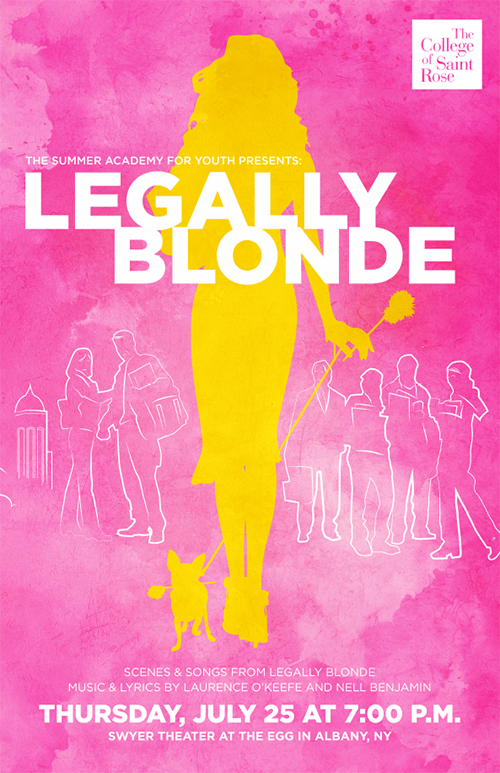 Please note that this is the only Summer Academy class with an increased age range. Lunch is included with the cost of all full-day Summer Academy programs. Students will come together for lunch in the College’s Dining Hall enabling them to socialize with their peers and meet other students. Students will enjoy an unlimited lunch buffet that includes hot and cold entrees, deli bar, salad bar, fresh fruit, dessert and drinks. Students enrolled in any of the summer programs may also bring water or a snack to enjoy during breaks in the program. The College will not provide snacks or beverages. There are no refrigeration facilities for student use in any of the programs. Students will not be permitted to leave the campus during their supervised lunch hour or at any time unless accompanied by a parent or guardian.